I just loved this Abraham Hicks video when I first listened to it on my iPhone during a hike today. It’s not exactly an eating disorder help video per se, but the positive vibration and uplifting feeling I had told me it was worth sharing. I’m not even sure where to begin – there’s so much good stuff in this one video. There are messages about our connection and alignment with Source (God), worthiness, self-love, appreciating, and using our emotions as our guide. This is a powerful message and if you’ve never listened to Abraham before, I hope you’ll explore their website to get to know them more. I’ve listened to their videos almost every day for the past 9 months. And I’ve grown so much because of what they’ve taught me. Please have a listen for yourself…enjoy. When you experience negative emotions it’s because you’re not letting yourself be who you really are. You’re a lover and an offerer of love. You’re supposed to love yourself. If you don’t love yourself, you’re not able to love others. Start with something easy to love and grow from there. When you’re not practicing self-love you’re not loving yourself as the greater part of you (Source) loves you. Find something to love, give it your attention until you feel good. Until you’re vibrating at a higher vibration…keep the focus and practice. Don’t force it, but go easy about it. You’re living a good life because you feel good. You’re not feeling good because you’re living a good life. Work to achieve good feelings most of the time and watch what happens in your life. As you can see, there were quite a few powerful messages in this video. Since I first listened to it on my phone this morning I’ve probably watched it 4 more times. I’m practicing feeling good and this video helps me feel good. 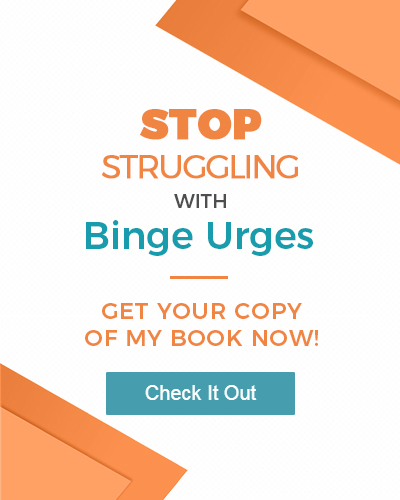 I hope you’ll share your feedback or comments on my bulimia blog below. I appreciate hearing from you!